With our customers foremost in our mind, we seek to continuously enhance our products and services while focusing on affordability and accessibility so that every home is “connected” and are able to enjoy the benefits of access to knowledge and information. We consider our customers as our partners, and as such, our mission is to be “Your trusted and proven partner for innovative and exciting communication experiences, delivered with passion, quality and commitment”. Customer centricity is key to us at Sri Lanka Telecom, and we continue to transform our business, revolving our strategies and actions around our customers. The introduction of ISO 9001:2008 standards and certification to majority of the organization, which will soon be extended to the entire company provides further assurance to our customers of our commitment to keep them at the heart of our business. While improving the customer experience defines SLT’s service parameters, responsible product stewardship remains at the crux of the company’s efforts to create a socially accountable portfolio of products and services. Assuring customers of the best quality at all times, SLT remains committed to improve the profile of all products and services in conformity with environmental norms and ethical procurement procedures. By promoting a greater degree of procedural transparency, SLT’s competent procurement practices are designed as a failsafe mechanism to ensure all products and services conform to all mandatory health and safety standards. 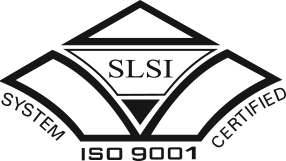 In large part due to SLT’s uncompromising attitude to ensure customer health and safety at all times has resulted in an unblemished record with no violations or complaints of incidents of noncompliance with regulations and voluntary codes concerning health and safety impacts of SLT’s products and services at any point in their lifecycle. Life cycle mapping done at each stage of the product life cycle determines its capabilities and relevance to the current consumer market. Meanwhile, these results are also used to gauge the potential health and safety aspects that may impact the customer, at different stages of product cycle, thereby promoting continuous improvement to rejuvenate the product profile in the customer interest. Over the years products and services can be accessed via the Corporate website, Contact Center, front offices and other customer touch points. Through this all-inclusive labelling and communication policy, SLT has ensured that all regulatory and voluntary disclosures have been fully complied with. Hence, no complaints or breach of regulations have been reported in this regard. Regular field visits that promote one-to-one interactions with customers and field staff. Collect feedback via Corporate website, customer touch points, Contact Centre, social media team and internal staff. Proactive engagement based on the analysis of data received from the above sources. Random calling of a selected sample of customers. Broadband quality of service alignment to regulatory requirements. Conducting of researches for selected products/customer segments, from time-to-time.